Throughout the month of June, Cusco, the ancient capital of Tawantinsuyo, dresses up as a party, the city lives its most intense days and where the population and visitors can enjoy various shows. The main day is June 24, when the world famous Inti Raymi is performed. What are the Jubilee celebrations of Cusco? It is a great celebration that lasts several weeks and that takes place mainly during the month of June. 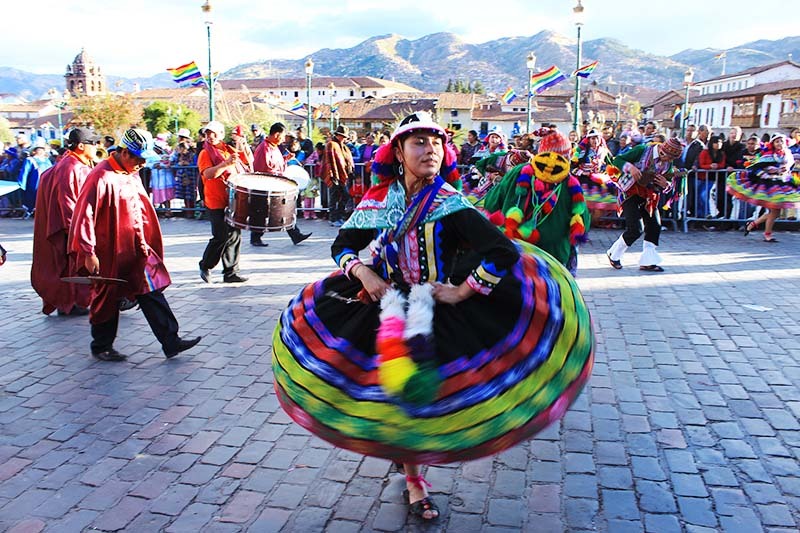 During the holidays, there is an endless variety of activities and shows the Andean culture, but where you can also see the expressions of other cultures, because Cusco is a cosmopolitan city. 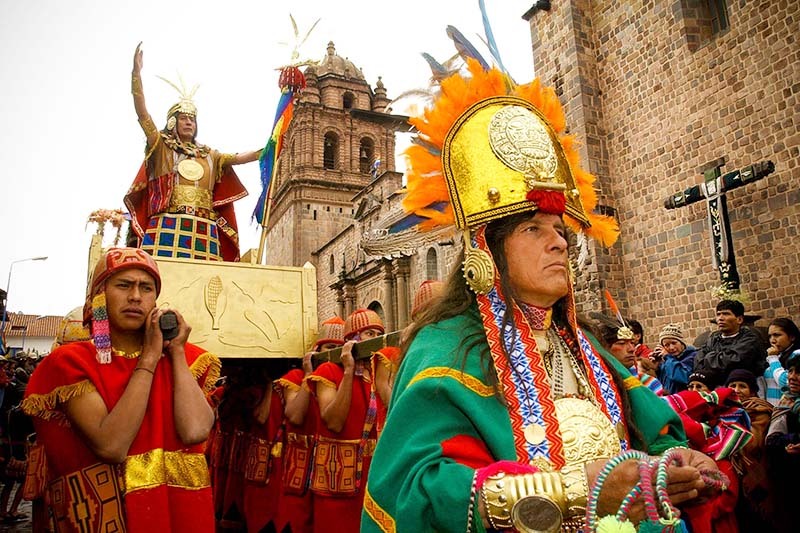 The Inca traditions are intermingled with the religious traditions and these in turn are conjugated with the modern celebrations, which creates a unique spectacle in the world and that develops in all the city. Usually the launching of the jubilee celebrations of Cusco takes place from some outstanding scenery of the Inca Cusco, the last years have been realized from the Qoricancha , in this event are summoned numerous artists who execute diverse rituals, and which is presided by the Inca , the Coya and the royal entourage of the Inti Raymi. It is a ceremony that takes the first Sunday of June and is celebrated in the Main Square of the Cusco . The tribute to the Pachamama, is the formal beginning of the celebrations of Cusco, and is done in order to invoke the good development of the parties, is a free event and where the local population and visitors participate. During the festivities prior to June 24th, the people of Cuzco show their joy at the fiestas, performing different parades in the center of the city. The commercial centers, schools and universities go out in the streets with groups of dancers dressed in multicolored costumes representing the native dances of the Andes, it is a spectacle that can be enjoyed freely, especially in the Main Square of the Cusco, where it is possible to visualize the dances in all their splendor. The most striking show are the comparsas of the School of Fine Arts of Cusco, which come with great allegories representing Andean culture. Days before, there is also another colorful parade, where young people with much enthusiasm and energy represent dances from the Peruvian highlands, a greeting from Collasuyo in honor of the ancient capital of the Inca Empire. The Corpus Christi is a religious celebration, but it coincides with the fiestas of Cusco, a tradition that has been going on for centuries. 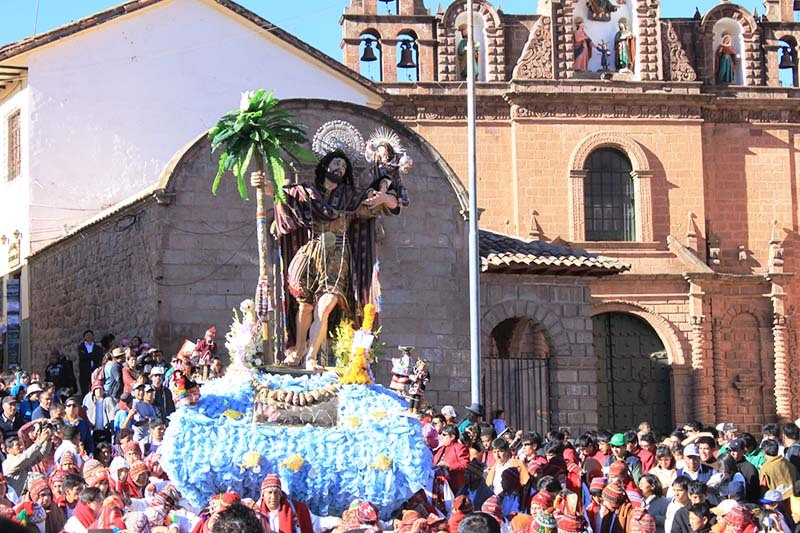 The virgins and saints of the different churches of Cusco leave to make their way through the streets of the city, to meet in the Cathedral, it is a celebration very colorful and full of faith, with traditions that have been trailing since colonial times. Days before June 24th, the lights and sound festival is held in the Main Square of the Cusco, the show takes place at night, there are fireworks and a concerto of music with several groups. The population and the visitors attend massively, since it is a free show and at no cost. The Feast of the Sun was one of the main celebrations held in the Inca Empire, and is commemorated on June 24 of each year. At the moment the representation of the same one is realized in the esplanade of the fortress of Sacsayhuaman, is the maximum event that takes place during the fiestas of Cusco. The ceremony begins in the Qoricancha or Temple of the Sun, where the Inca and his follower greet the Inti (the Sun god), then the Inca goes to the Square of Auqaypata (now Main Square of the Cusco), here the Inca performs the Coca ceremony and invokes the Apus. Once this staging is completed, the Inca goes to the archaeological park of Sacsayhuaman, the surroundings of the fort are conditioned so that the tourists and the local population can observe the central ceremony. 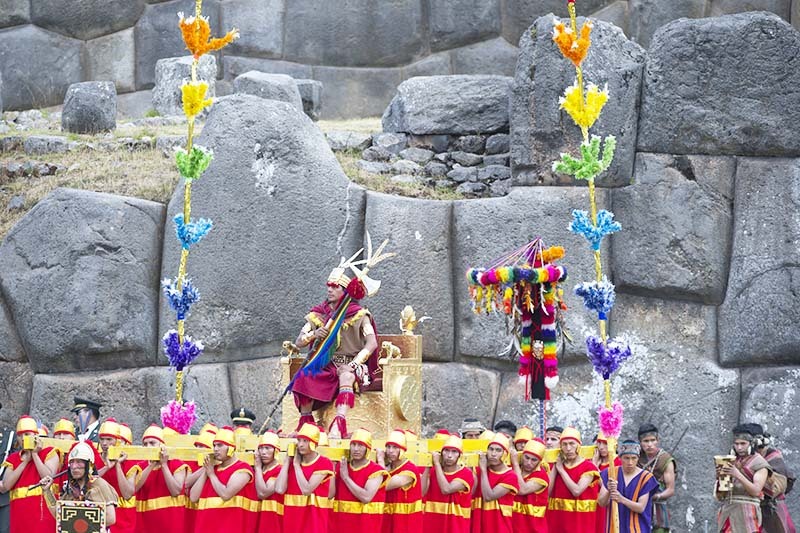 The pututes sound and begin the commemoration, the Sinchi summons the representatives of the Four Suyos of the Inca Empire, and amidst music and dances the Inca makes its entrance. The ceremony had a religious character in the time of the incanato, and the present representation is very close to what was formerly. The display of the artists is very colorful and spectacular. The Inca culture returns for an instant and shows us its grandeur. During the jubilee month of Cusco there are many more activities, musical and cultural events, presentations of books and artistic works, parades, civic parades, gastronomic fairs and much more. June coincides with the high season of tourism and you can see the city of Cusco in all its splendor and with people from all over the world that give it a special atmosphere. If you want to experience these unique experiences in Cusco and get to know the wonderful Inca city of Machu Picchu contact us at info@boletomachupicchu.com, we will provide you with all the information you need for your trip.